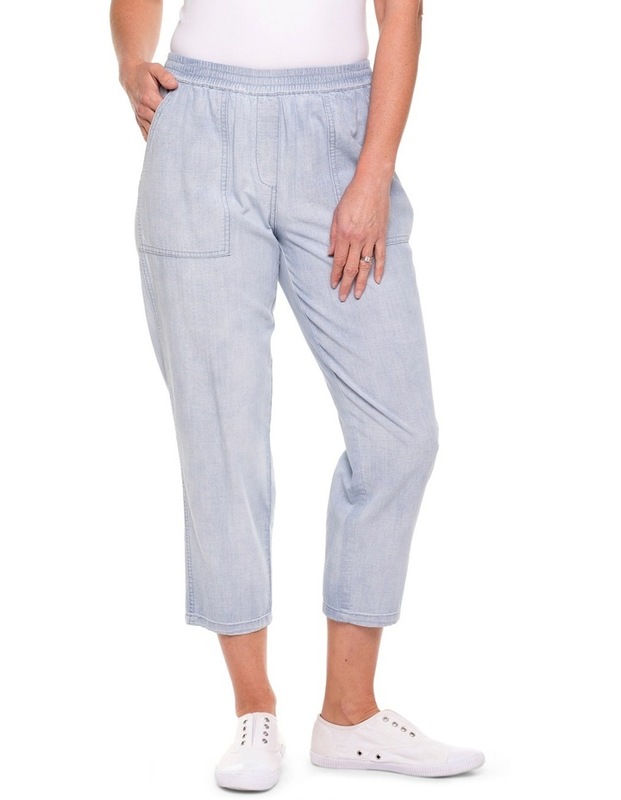 Refresh your wardrobe for the season ahead with the must have Pull on Chambray Pant. 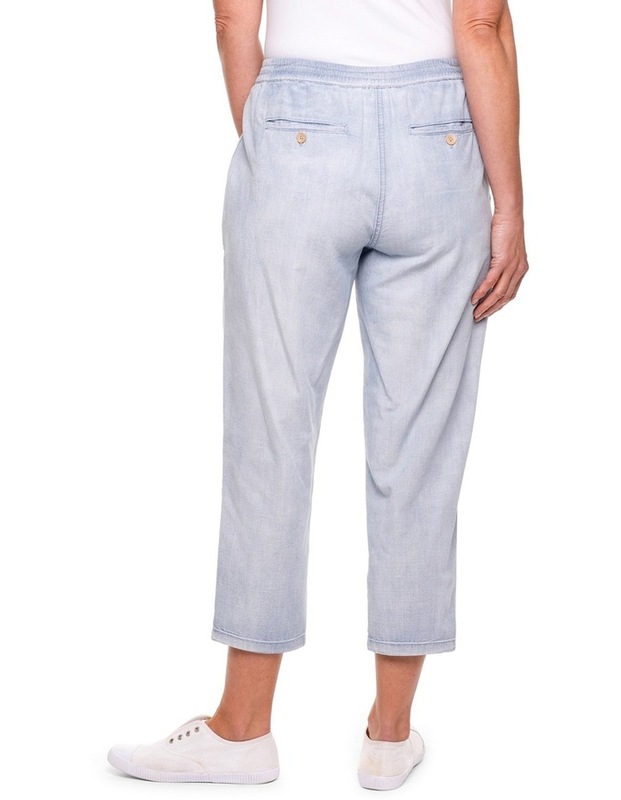 Made from a washed Chambray and finished with coconut buttons and an elastic waistband this style speaks casual comfort. A classic style sure to be a go to for years to come.